Lindy Bowl #6 – Sunday, October 28, 2018 – Swing or Nothing! 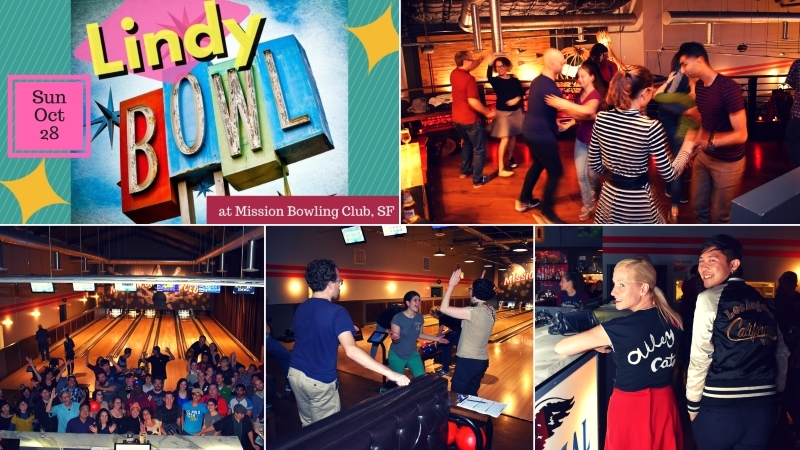 Lindy + Bowling = Lindy Bowl! DJed music and space for dancing Swing, Lindy Hop, Balboa, Blues and with guest DJ Benji Ng! Award-winning burgers, food and fancy cocktails! No partner needed! Beginner bowlers and dancers welcome!